So is the Star Sapphire in the JLU based on the 4th? I've always wondered that because frankly the only Star Sapphire I could remember was Carol and the animated version of her just wouldn't make sense. 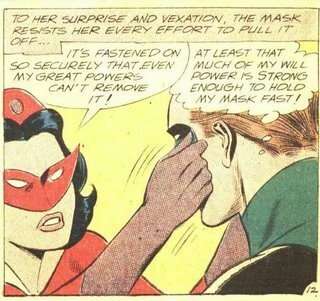 Carol - I, for one, hope Carol Ferris makes a return as Star Sapphire. She's a great love interest/villain, and definitely up there with Sinestro in terms of the GL Rogues gallery. 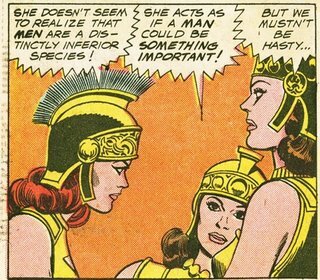 Crisis - Anybody think the Spectre has "women" issues? Scores of Earths are getting squooshed together, and all he can do is off a man hater? 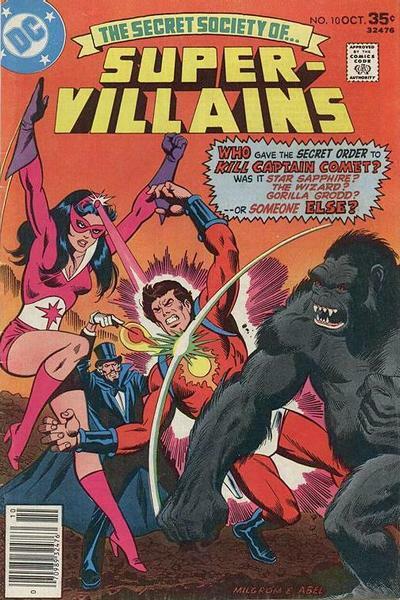 Thanks for this -- I had no idea they'd brought back that Star Sapphire from SSoSV, as the last time I saw the character was back when Steve Englehart was writing GL. That book never mentioned latter incarnations of the character in a storyline that was all about Zamaron history, so I'd assumed that version had been eliminated from continuity. I was pretty sure the JLU version was Debbie, actually. I figured that was why they brought her back. And Camille was her middle name according to IC6. Man, though, it'll take me a while to get through Englehart's run. I just read Gl#192 and was clawing at my brain. We are all equal under DOOM! Thanks for the Star Sapphire Tutorial. I happened upon it Googling Star Sapphire. The first time I saw her on the Justice League cartoons (which is as close to comics as I get)I was fascinated. I wanted to know more about her and comics, she just seemed like an awesome villain. She has a great look and what seems to be an awesome power if it's anything like the GL power ring. It just seems like there is so much you can do with her character. Especially as Carol, which is my favorite incarnation. She's just awesome. I did read Infinite Crisis in Novel form and when she was killed I thought "Hey, maybe they'll bring back Carol as Star Sapphire". One can only hope I guess. Alright, thats all I wanted to say, have a nice Thanksgiving. 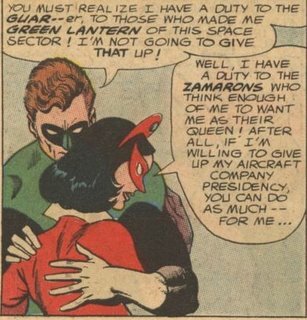 I thought the tradition of the Star Sapphire was a clever creation on the Zamaron's part. They're immortal, so if they chose one of their own as their ruler they'd never be rid of them. By consistently choosing a mortal look-alike, they maintain the illusion of continuity to outsiders. However, if one of the Star Sapphires doesn't work out, the Zamarons just have to wait a while until they get a chance to choose a new one.